Resveratrol (3,5,4′-trihydroxystilbene) and piceatannol (3,5,3′,4′-tetrahydroxystilbene) are well-known natural products that are produced by plants. They are important ingredients in pharmaceutical industries and nutritional supplements. They display a wide spectrum of biological activity. Thus, the needs for these compounds are increasing. The natural products have been found in diverse plants, mostly such as grapes, passion fruit, white tea, berries, and many more. The extraction of these products from plants is quite impractical because of the low production in plants, downstream processing difficulties, chemical hazards, and environmental issues. 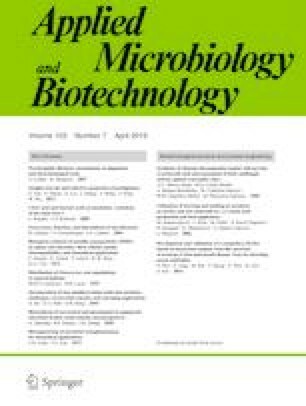 Thus, alternative production in microbial hosts has been devised with combinatorial biosynthetic systems, including metabolic engineering, synthetic biology, and optimization in production process. Since the biosynthesis is not native in microbial hosts such as Escherichia coli, Saccharomyces cerevisiae, and Corynebacterium glutamicum, genetic engineering and manipulation have made it possible. In this review, the discussion will mainly focus on recent progress in production of resveratrol and piceatannol, including the various strategies used for their production. Anil Shrestha and Ramesh Prasad Pandey contributed equally to this work. This work was supported by a grant from the Next-Generation BioGreen 21 Program (SSAC, grant no. : PJ013137), Rural Development Administration, Republic of Korea.